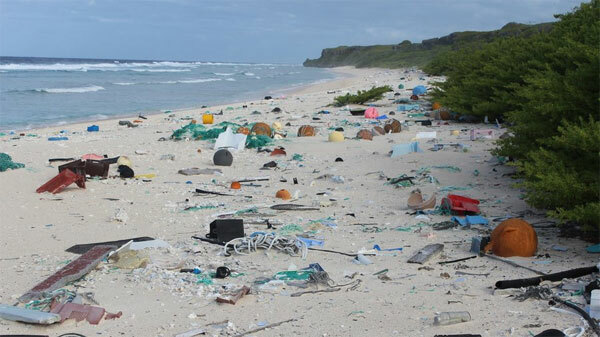 Man’s legacy on Earth may be the piles of plastics we’ve mass produced—roughly 8.3 billion metric tons so far, according to a new study published in Science Advances. In the first ever global analysis of plastic production, researchers from universities across the US combined production data with product lifetime information from various industries—such as construction, packaging, and consumer goods—to find out how much plastic humans have made, and how much of it is still around. “You can’t manage what you don’t measure,” says Roland Geyer, an associate professor at the University of California–Santa Barbara and lead author on the new study. About 30 percent of all plastics made since the middle of the 20th century are still in use, but the vast majority of plastic waste, it turns out, is still around as well. Just 12 percent has been incinerated—a process that presents its own environmental and public-health perils—and only 9 percent was recycled. There were vast regional differences in recycling, however: The recycling rate in the US was 9 percent, compared to 30 percent in Europe, and 25 percent in China. The fact that, over time, a plastic item will really only break down into smaller and smaller fragments is only part of the problem. The amount of plastics made every year continues to climb. If the current trends in production, incineration, and recycling continue, there will be 12 billion metric tons of plastic waste littering the globe by 2050. It’s clear we need a better management strategy. But this work has forced Geyer to re-evaluate his own use of plastics and look for ways to consume less.